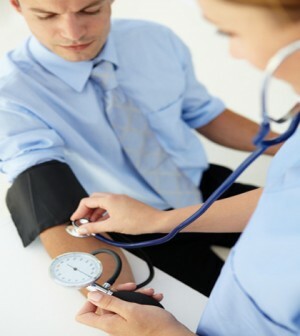 Having high blood pressure or hypertension is dangerously insidious—you don’t feel it at all. That’s why it’s often referred to as the “silent killer”—people usually don’t realize it until it’s too late. If you have hypertension, you don’t have to live in fear or apprehension about your condition—you can actually be proactive and learn how to perform certain deep breathing exercises for blood pressure management and generally be able to live a healthy life. The following are just four of such breathing exercises you can quickly and easily perform right now. Abdominal breathing is one of the simplest, most basic deep breathing exercises for blood pressure management. It is sometimes referred to as belly breathing. You don’t have to perform things that you don’t do, anyway—you just breathe. But the key in successfully lowering your blood pressure through this kind of breathing is proper timing and depth. To perform abdominal breathing, you just place one hand on your abdomen or stomach, in that area below the rib cage, while your other hand is placed on your chest. Take a deep slow breath through your nose—but make sure that your chest does not move. As you inhale, you know you’re doing it right when your stomach is pushing out your hand. Once you’ve filled your lungs with air, hold it for at least 7 seconds, then exhale equally slowly. You should immediately feel relaxed right after the first deep breathing. You should perform this for up to 10 times each time you feel like there’s a weight on your chest or you’re under stress—this deep breathing exercise can quickly defuse pent-up negative emotions and can keep you calm and focused throughout the day. Eventually, as you regularly practice this, you may find out that you no longer need to place your hands on your belly and chest. The sheer effectiveness of this so-called 30-second deep breathing exercise in lowering the blood pressure has been documented in a large Japanese study involving no less than 20,000 adult participants. As deep breathing exercises for blood pressure go, this one is no wildly different: you only have to find a quiet, cozy spot where you can sit alone without disruption, then take six deep breaths for 30 seconds. You should time those six breaths to correspond the allotted time. And the result was compelling: the participants’ systolic blood pressure lowered by as much as 10 mm Hg! And that was only after 30 seconds. Researchers who oversaw the study believe that the positive health effects of the 30-second deep breathing exercise was due to its way of relaxing the sympathetic nervous system, as well as the blood vessels and the heart. Deep breathing, on its own, already has great health-giving benefits that have been discussed in countless articles and news and science write-ups. But when you combine breathing exercises for blood pressure management with meditation, then the health benefits further become manifold. After all, meditation and deep breathing are not mutually exclusive of each other. But by employing the proper structure of a meditation session, your self-healing efforts become more focused as you’re also engaging the powers of the mind in the whole effort. There’s no “magic” in meditation—modern science is now beginning to unravel what the ancients already knew. For example, meditation has been demonstrated in several studies to increase the body’s release of certain neuro-chemicals, such as endorphins, which not only serve as our body’s internal pain killer, but are also linked with the body’s ability to feel happy. Moreover, endorphins are also believed to have a direct hand in reducing blood pressure and even in fighting off cancer.